Can find your way out of the maze and beat the clock? Our Fun activities include one of the most popular and stimulating team-building challenges, taking the internet by storm, Escape Rooms. Our Fun Activities gift certificates are the perfect corporate Christmas gifts for those looking for a unique and interactive experience like no other. 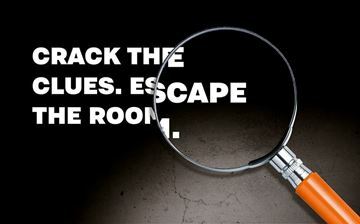 Beat the timer and solve the crime before your clues disappear and the criminal walks free! 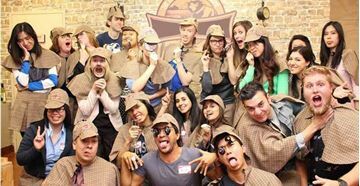 Designed for groups, this escape room is an exhilarating experience available right in Sydney’s CBD. Designed for 2-5 players, this puzzling experience is a fantastic gift idea for corporates to encourage teamwork, as a fun activity with your best friend or as a different way to celebrate a birthday! Beat the timer and solve the crime before your clues disappear and the criminal walks free! 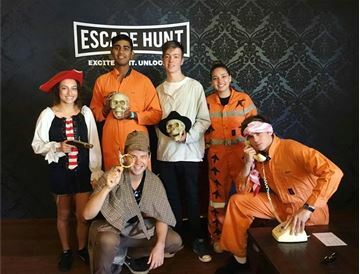 Designed for groups, this escape room is an exhilarating experience available right in Sydney’s CBD, Designed for 2-5 players, this puzzling experience is a fantastic gift idea for corporates to encourage teamwork, as a fun activity with your best friend or as a different way to celebrate a birthday! Take up Perth’s popular escape room challenge with these interactive detective mysteries and beat the clock! Designed for 2-5 players, this exciting detective simulation game is a great gift idea for those fans of Sherlock Holmes or crime novels in general. 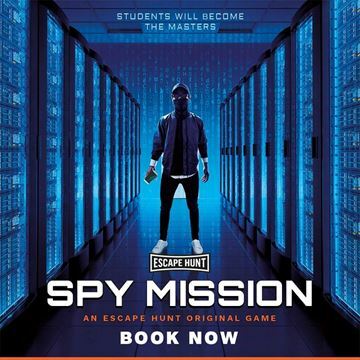 It's a unique experience in Perth with interactive game rooms and plenty of challenges to keep you busy! Coming to either your house or a venue of your choosing, expert staff will facilitate the game of Host a Murder. Each participant gets a character to come as and on arrival, you will discover your host has been murdered. You have to find out who amongst your fellow diners has a guilty conscience and solve the mystery. The perfect idea for Hens & Bucks Nights and Corporate Team Building Impress your friends with a totally original and fun dining experience in one of two great locations; Blackheath - Blue Mountains or Wisemans Ferry. ICEBAR MELBOURNE; Australia’s only ice bar, keeping things a fun and frosty -10°C here in Melbourne all year round.